The two pleaded not guilty. 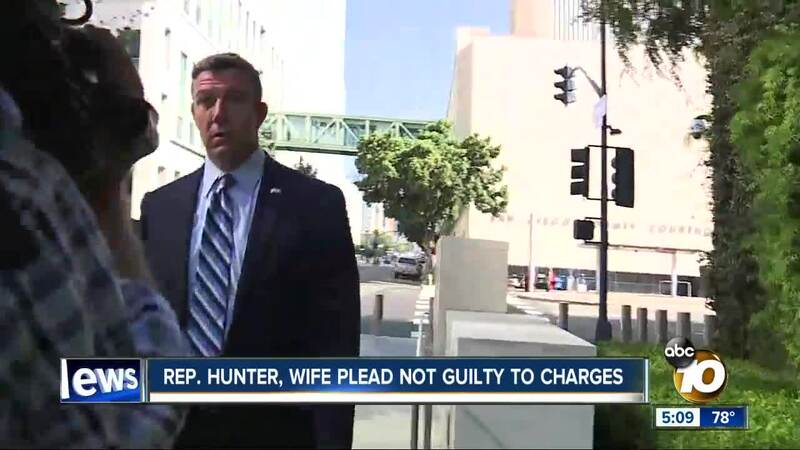 SAN DIEGO (KGTV) - Rep. Duncan Hunter and his wife Margaret pleaded not guilty Thursday morning to federal charges of using campaign funds for personal use. 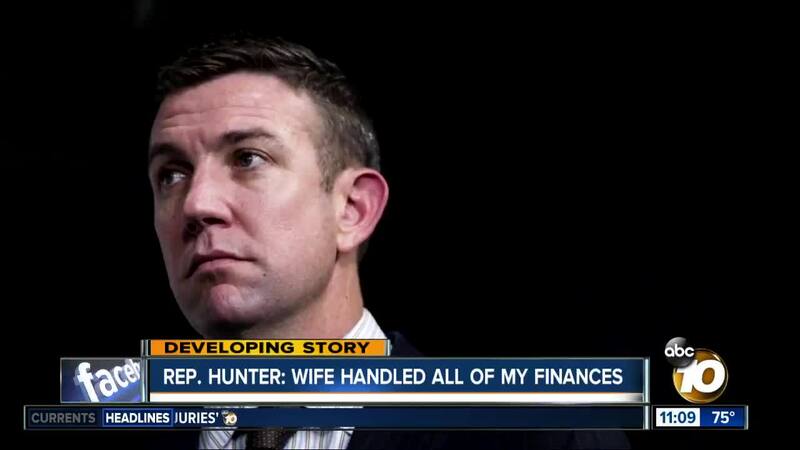 The congressman and his wife were indicted Tuesday by a federal grand jury in San Diego on suspicion of using $250,000 worth of campaign funds to pay for vacations and personal expenses. The indictment includes instances from 2009 through 2016. The couple is also accused of filing false campaign finance records with the Federal Election Commission. The Hunters entered the U.S. District Courthouse separately, with the congressman heading into the courtroom at least 45 minutes before his wife. As he walked into the courthouse, Rep. Hunter was greeted by dozens of protesters who called on him to step down. 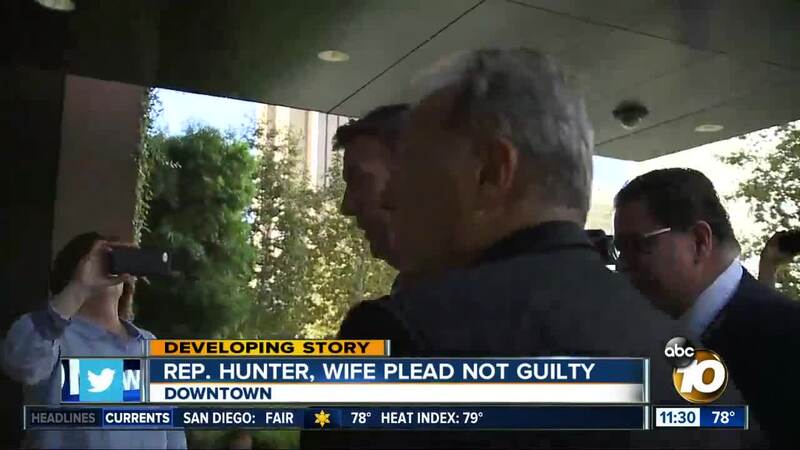 10News reporter Jon Horn, who was inside the courtroom for the arraignment, noted that Margaret Hunter did not make eye contact with her husband as she walked by him. The couple, however, stood together with their legal representation to enter their not guilty pleas to the 60 counts against them. Bail was set at $15,000 for the 50th District congressman and $10,000 for Margaret Hunter. The low bail amounts were set based on the prosecutor’s statement that the Hunters had no financial assets and were living paycheck to paycheck. 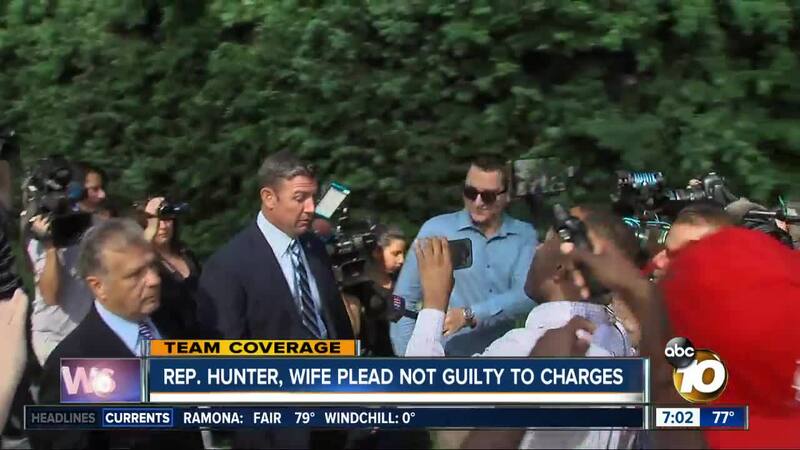 Rep. Hunter was ordered by the judge to turn in his firearms as part of the bail agreement. The Hunters are scheduled to return to court on Sept. 4. 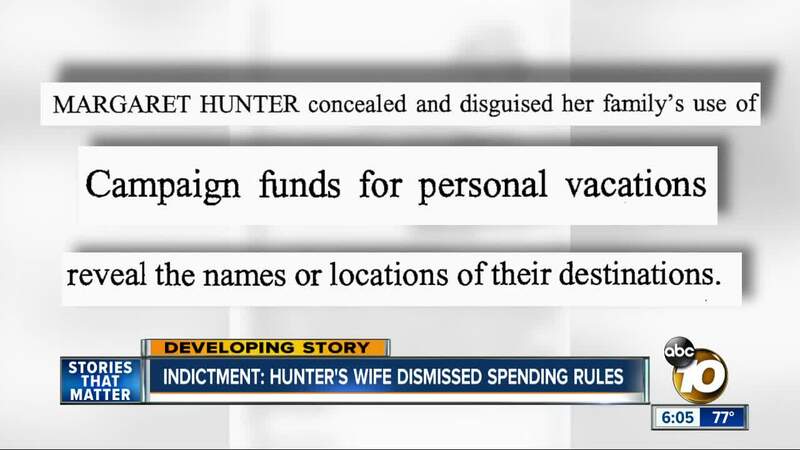 According to an affidavit, Hunter allegedly spent the money on expenses like vacations, dental work, tuition, movie tickets, video games and home utilities, among other things. The affidavit goes on to allege that the Hunters lied about the purchases in FEC filings, claiming the money was used for things like dinner with volunteers or campaign contributors, toy drives and teacher/parent events.